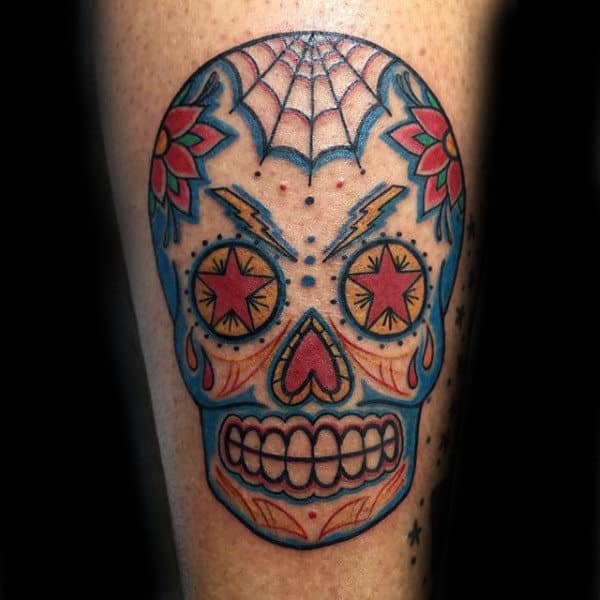 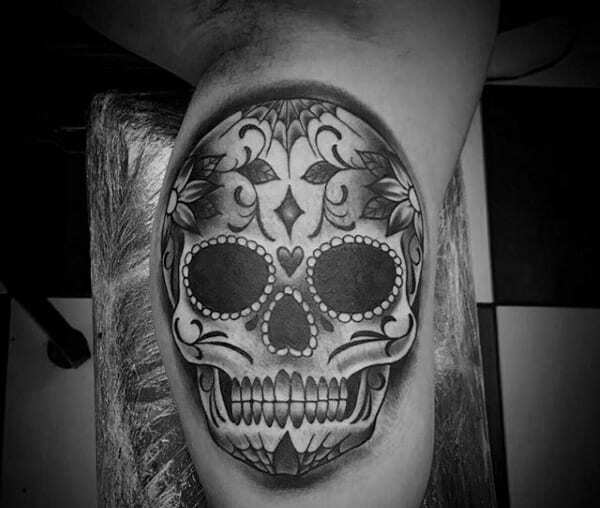 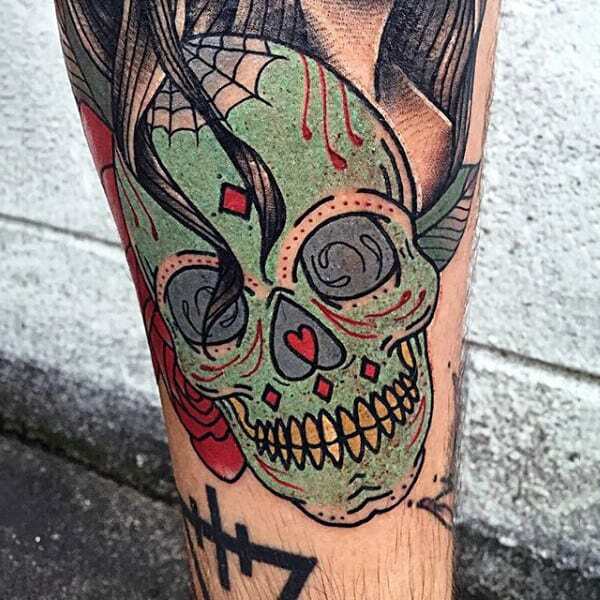 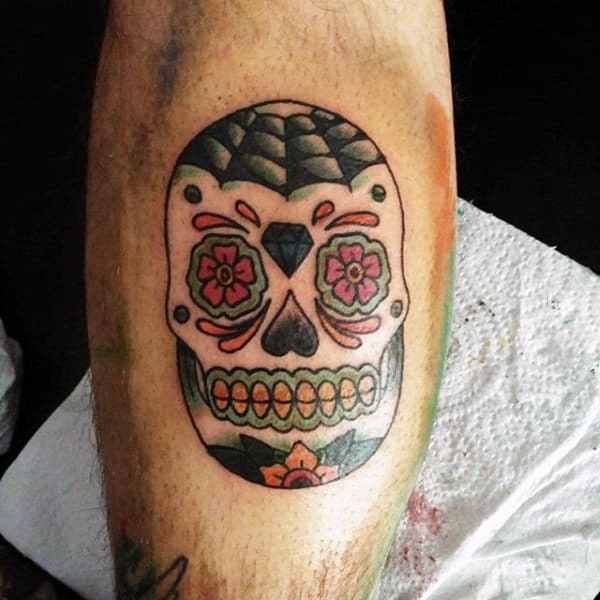 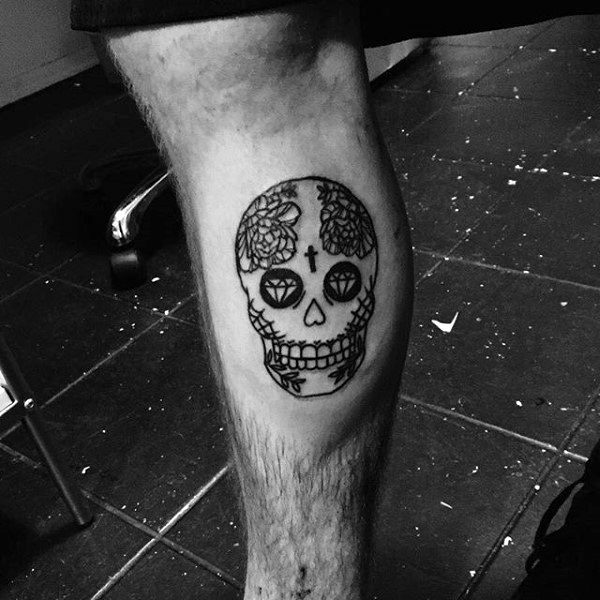 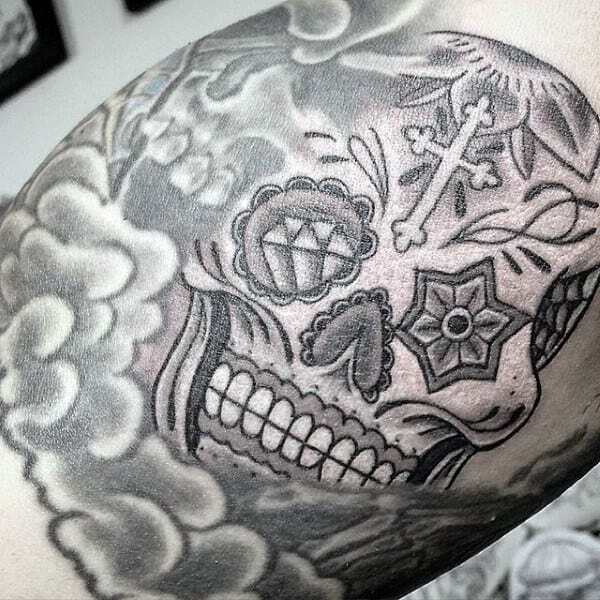 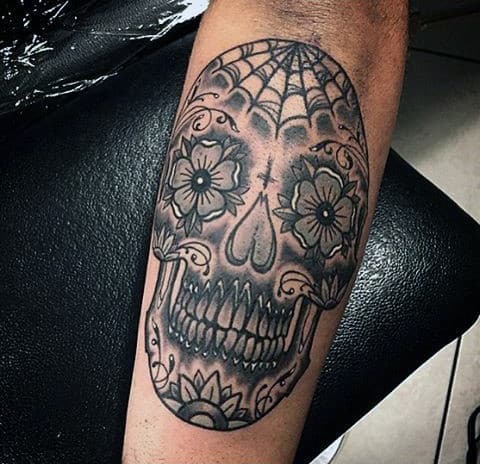 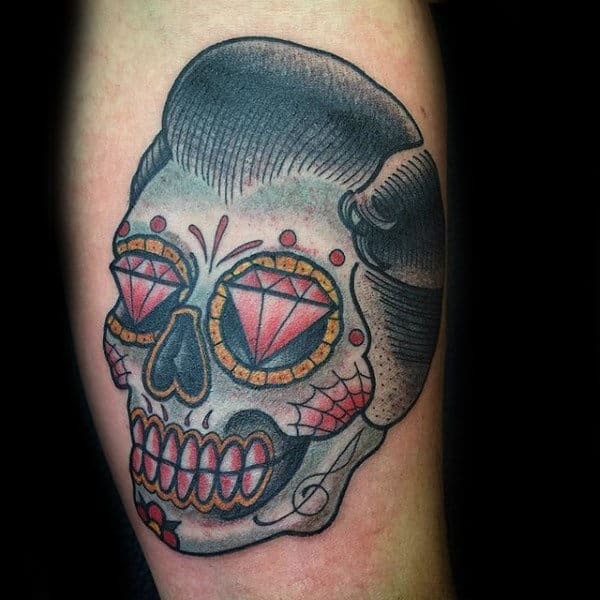 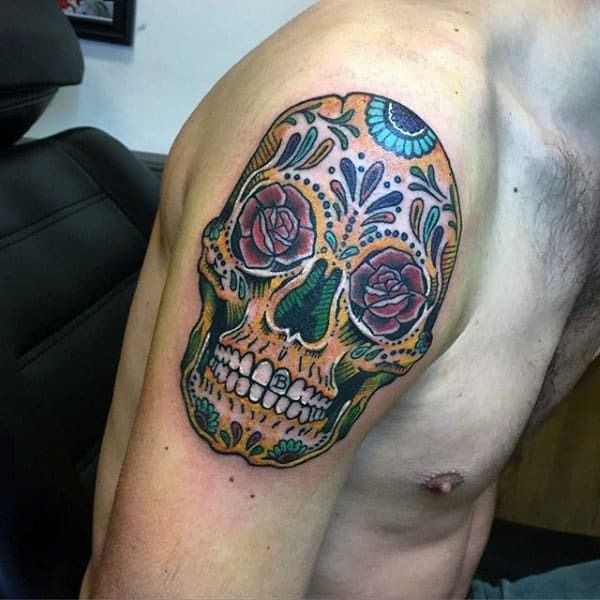 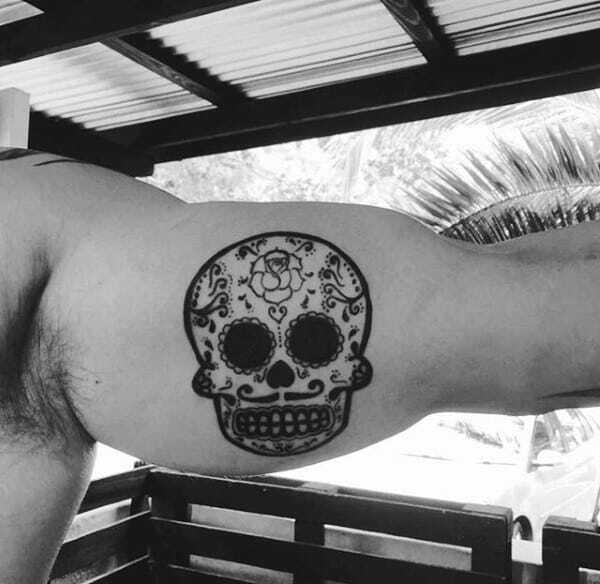 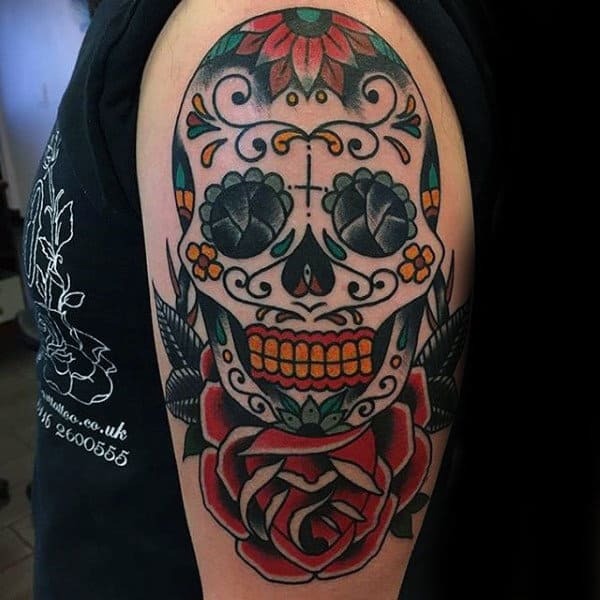 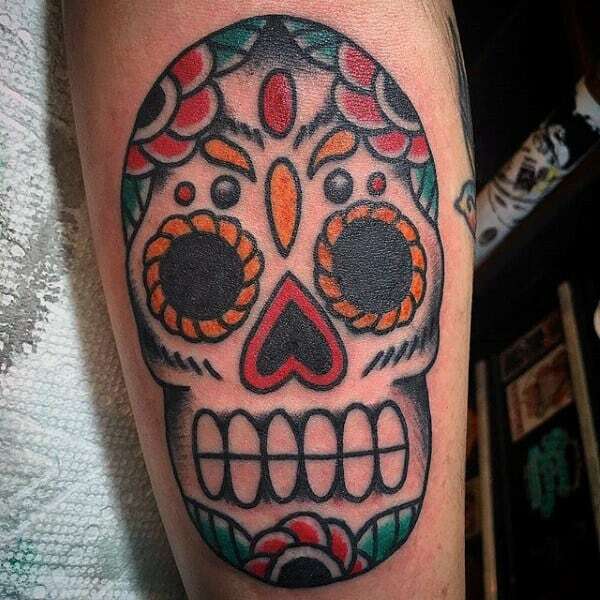 For a stupendous dose of Mexican pride, nothing tops a Sugar Skull tattoo. 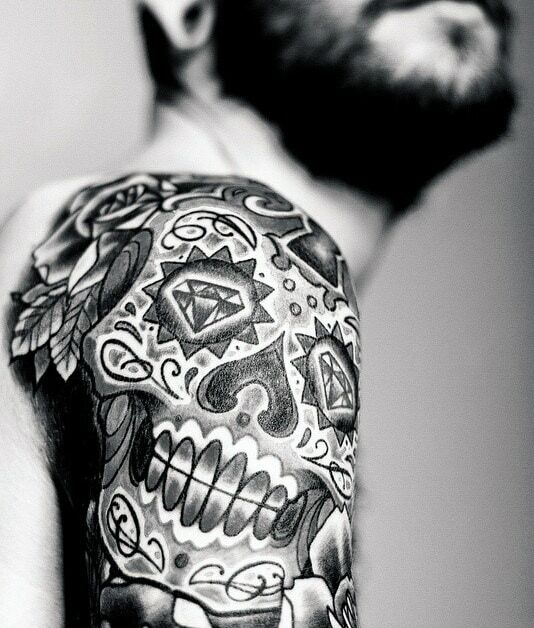 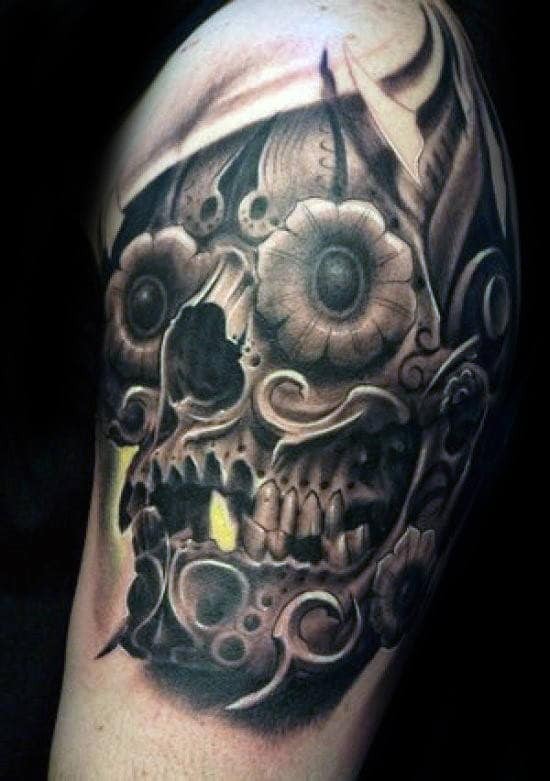 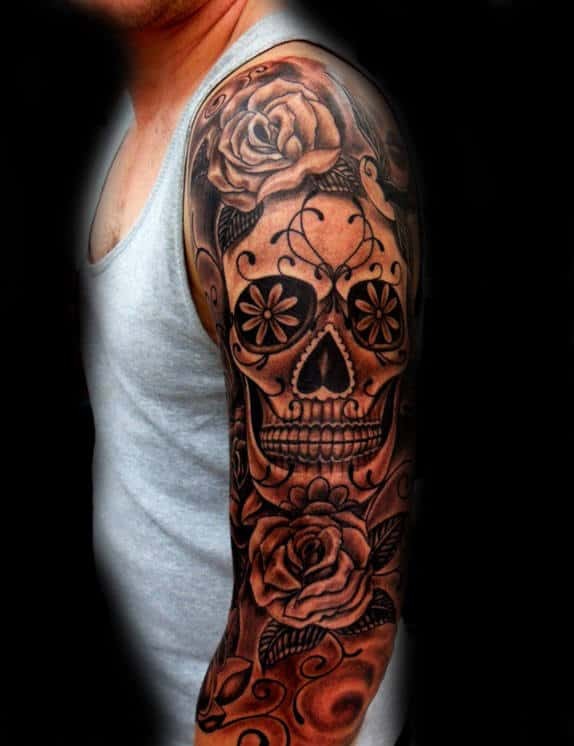 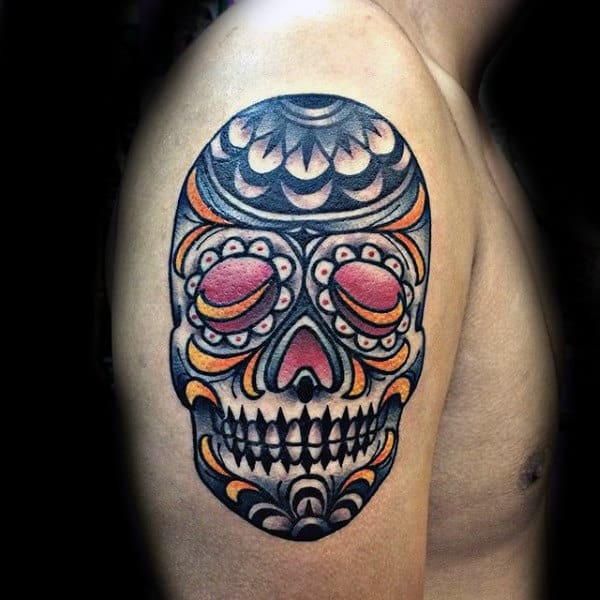 The Calavera is recognized worldwide as a masculine icon, and it attractively indicates a link to the Day of the Dead. 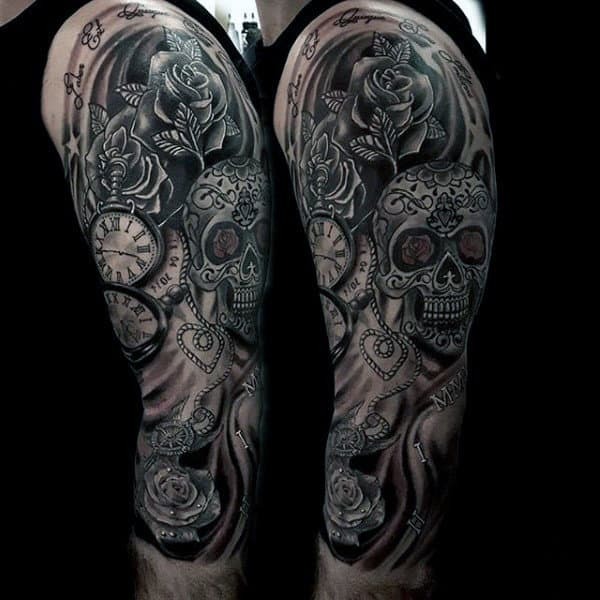 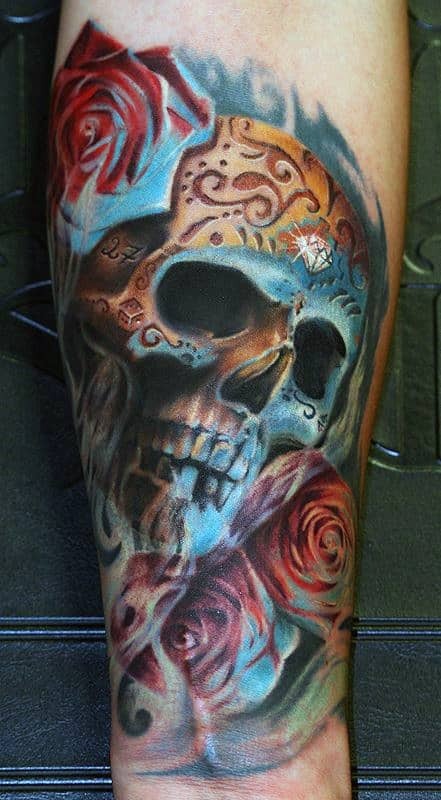 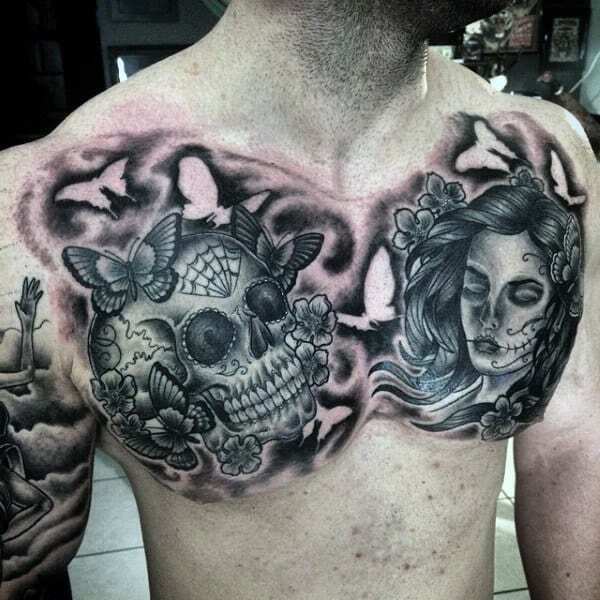 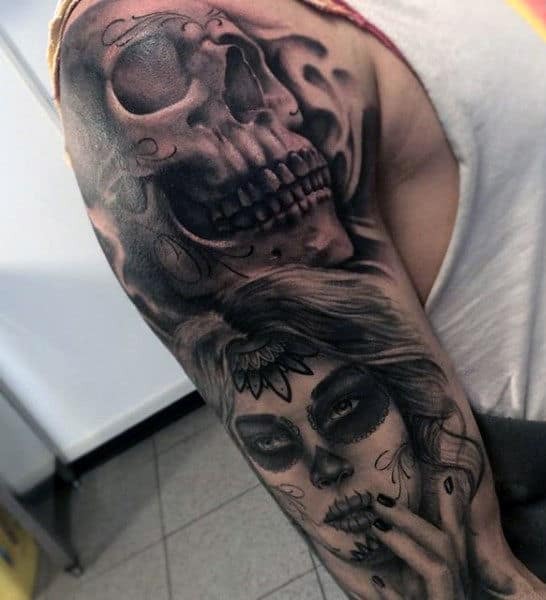 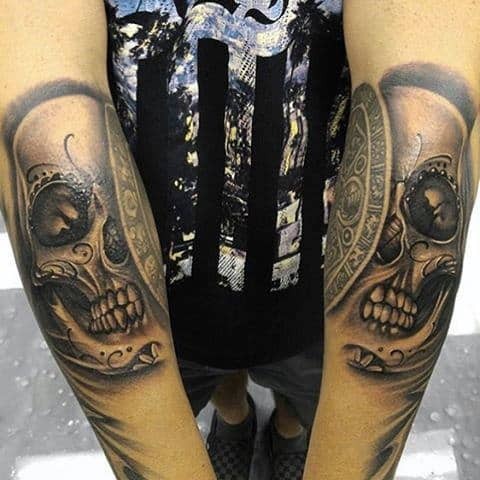 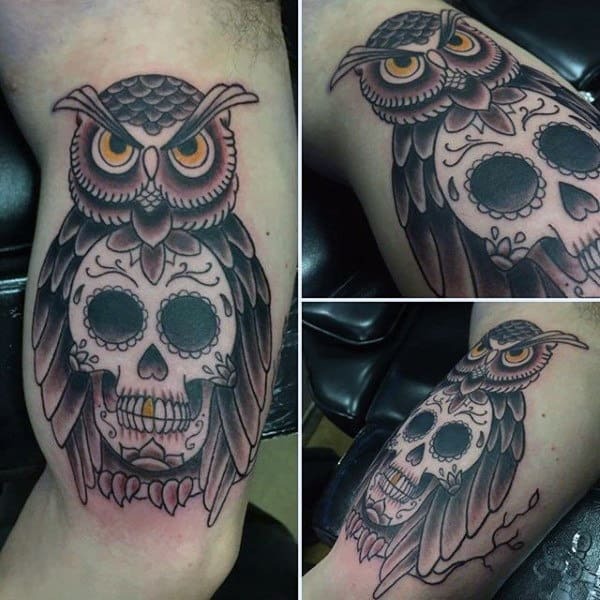 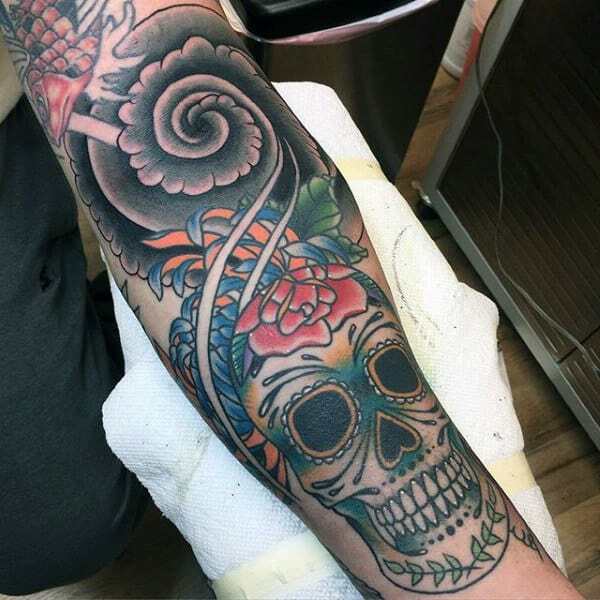 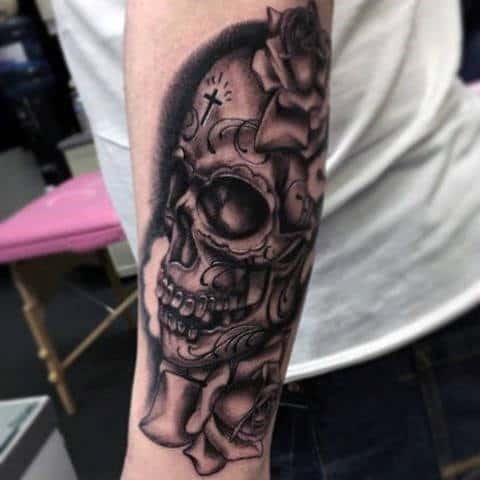 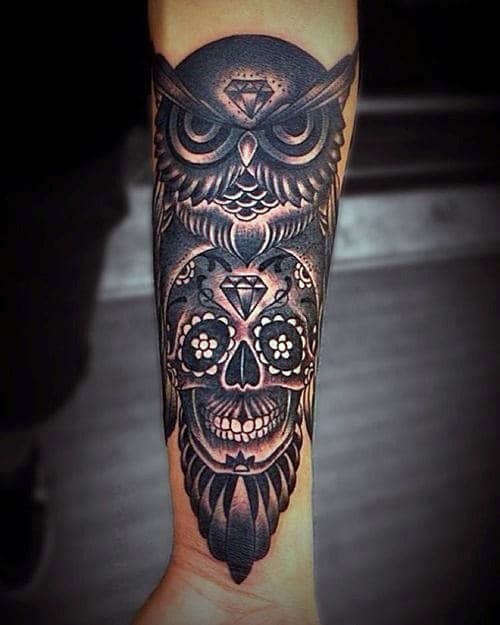 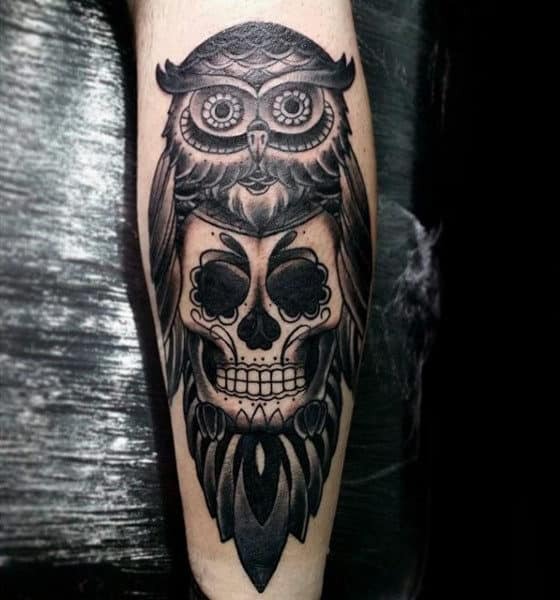 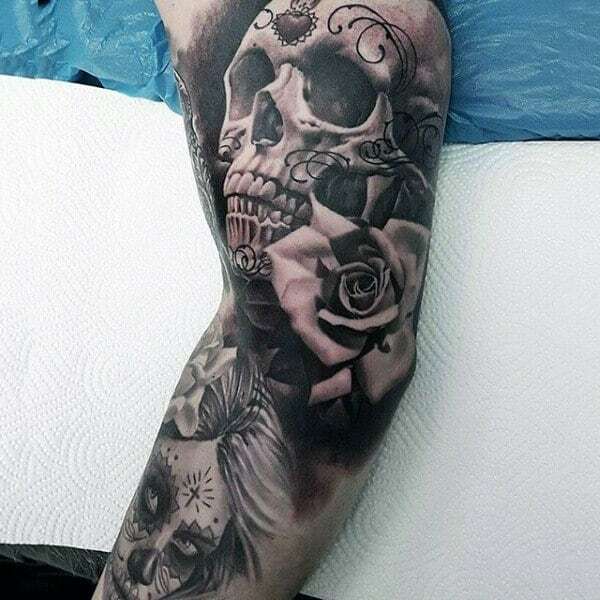 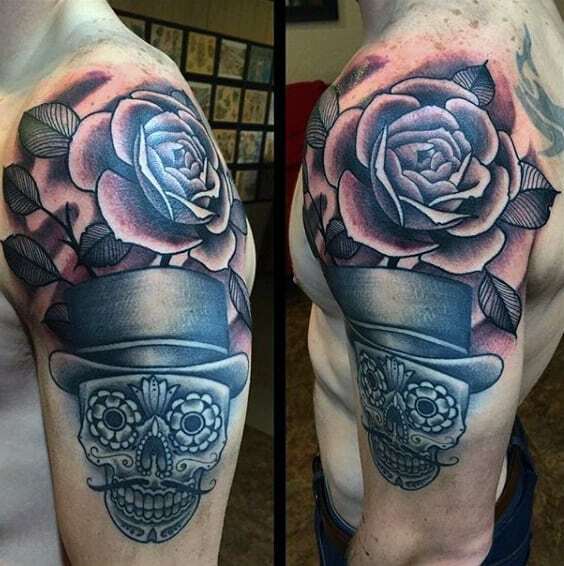 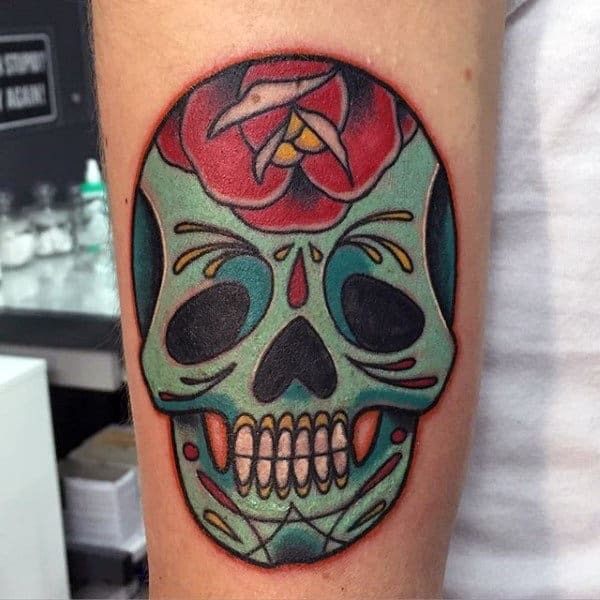 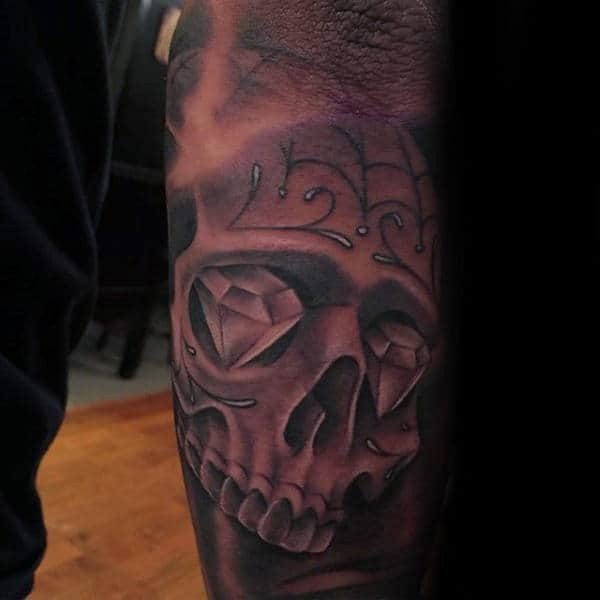 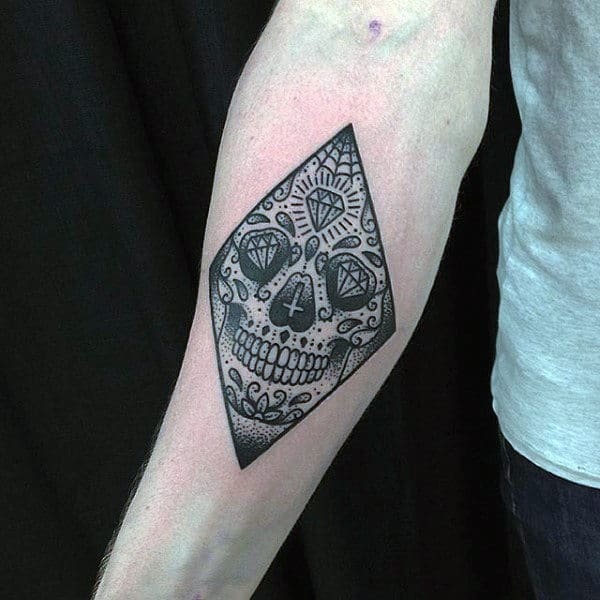 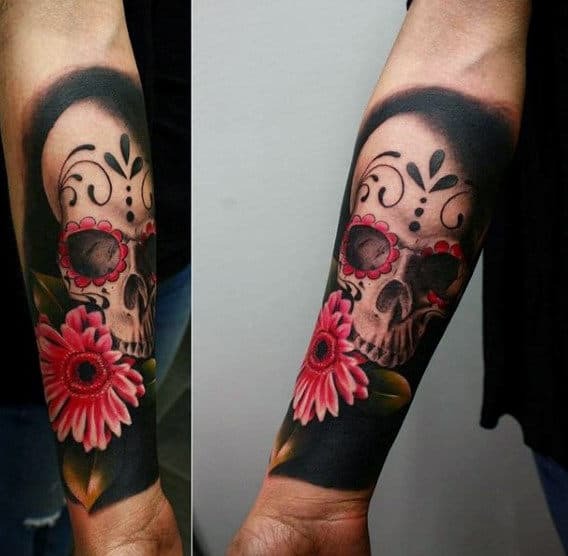 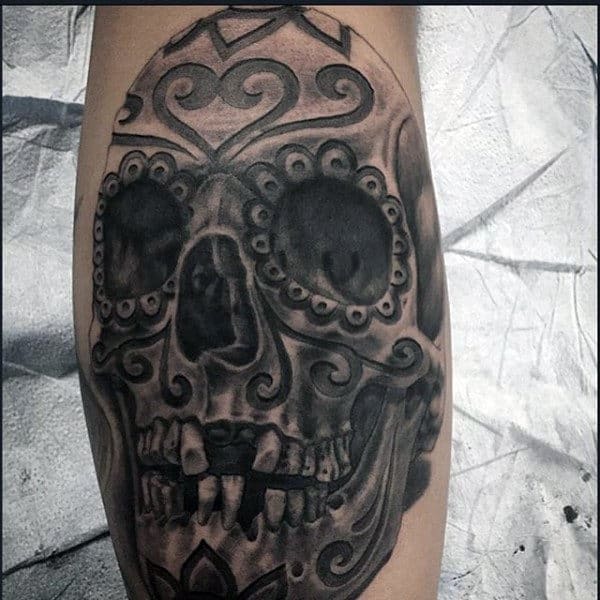 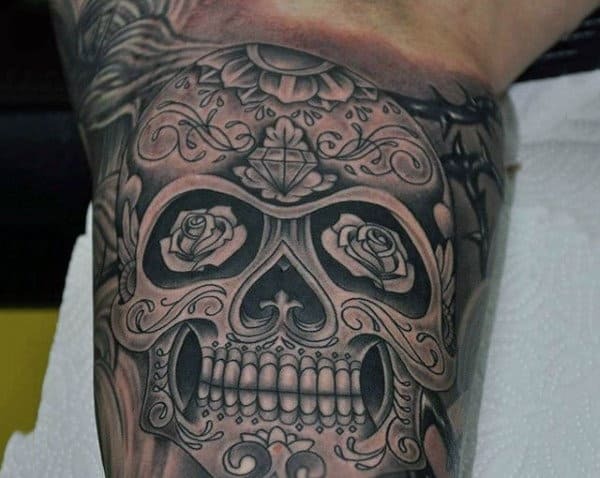 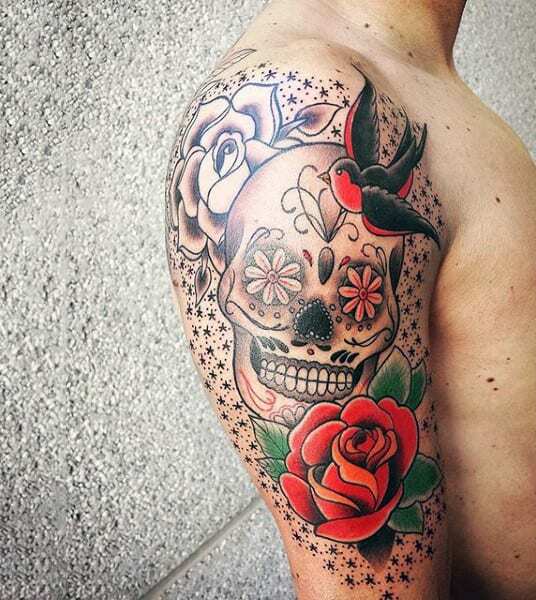 If traditional skull ink seems outdated to you, then you are totally not alone. 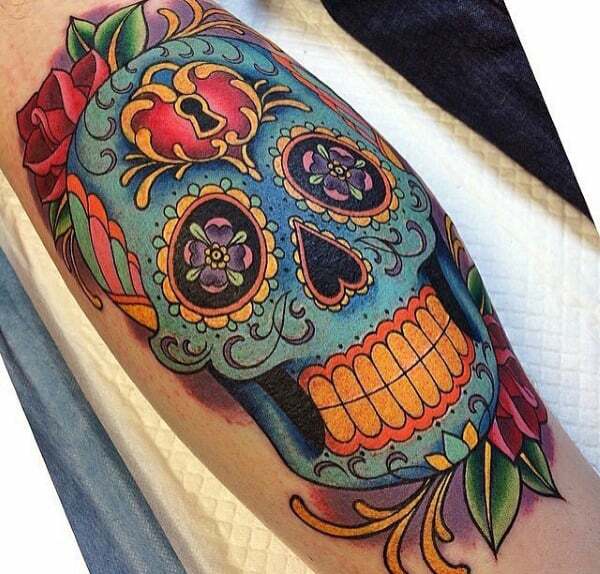 This is because their prominence has practically been replaced by Sugar Skull tats. 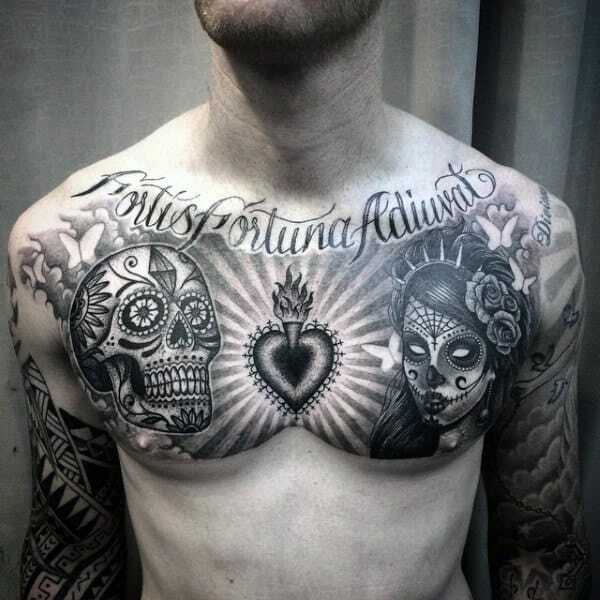 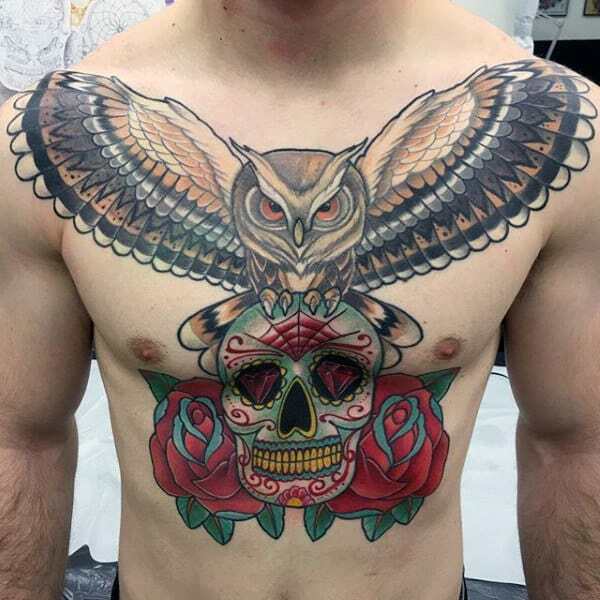 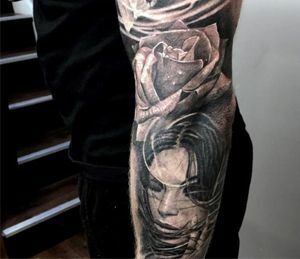 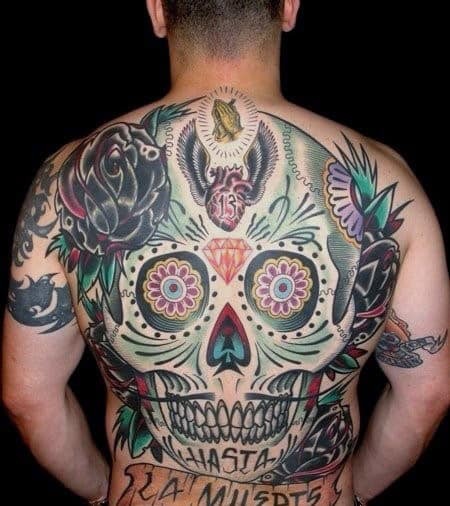 These over-the-top designs are less fatalistic than their anatomical counterparts, so they carry the same visceral qualities along with increased rates of artistry. 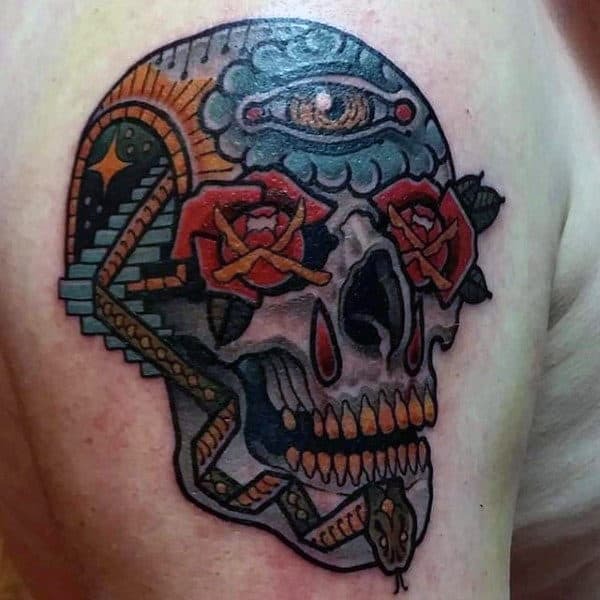 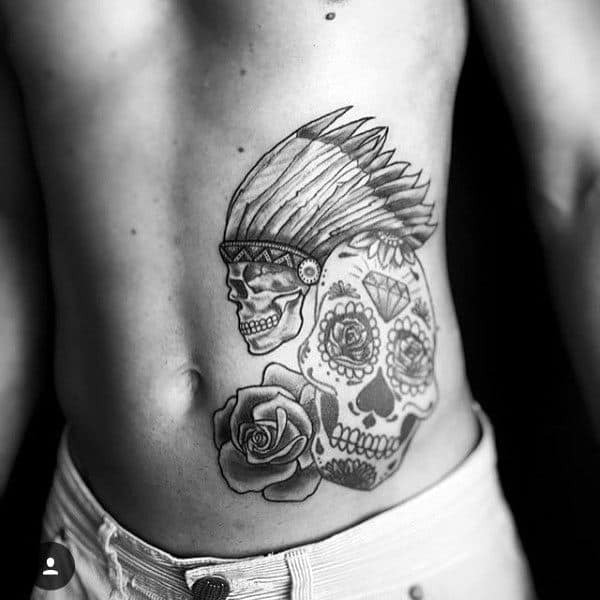 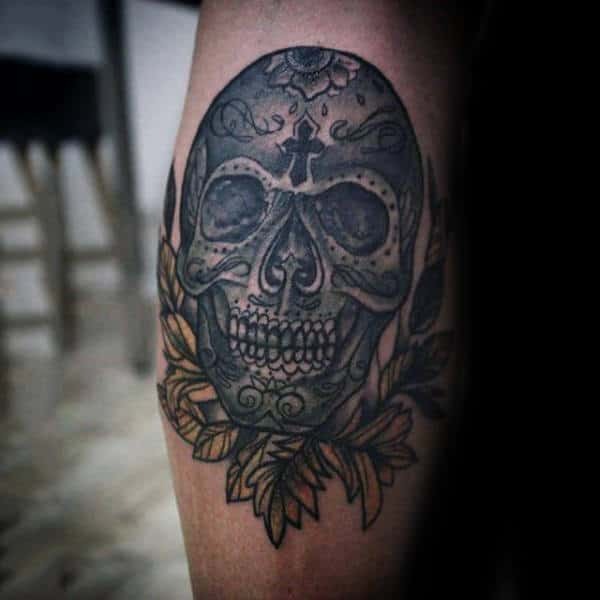 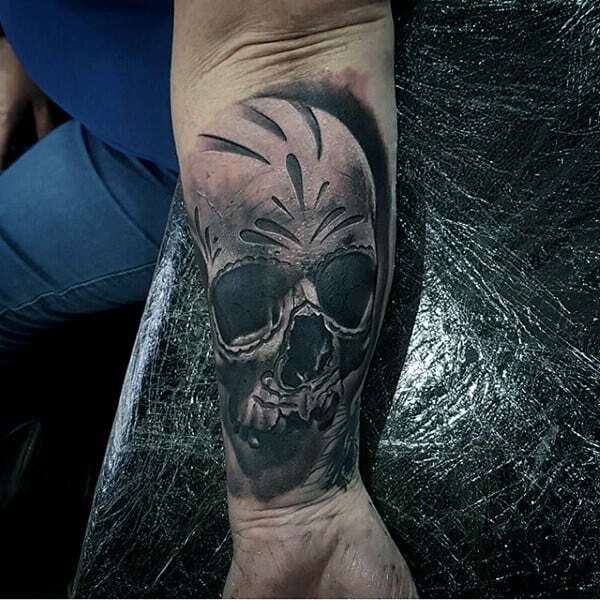 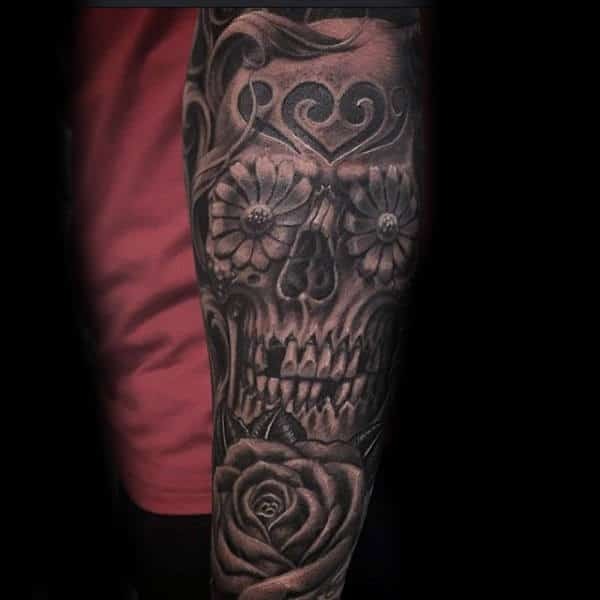 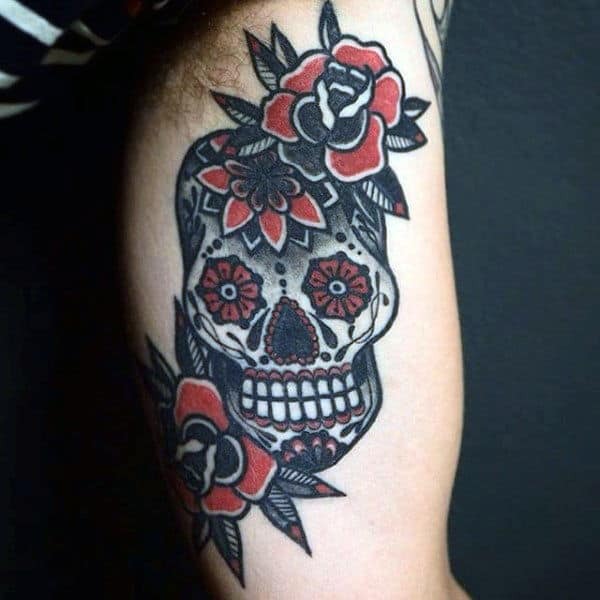 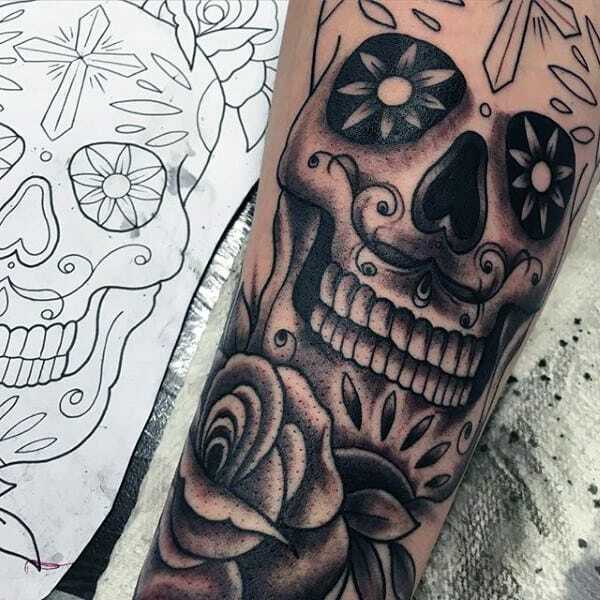 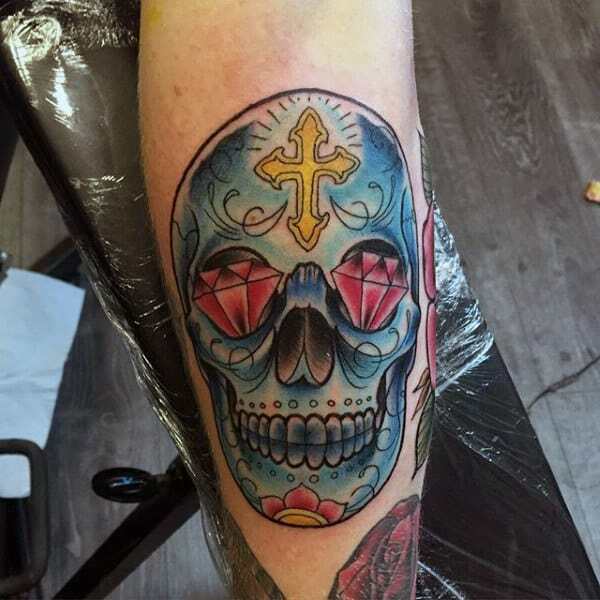 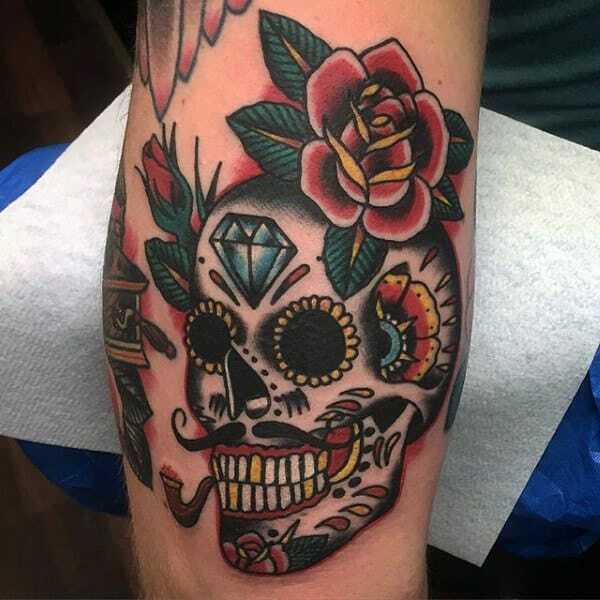 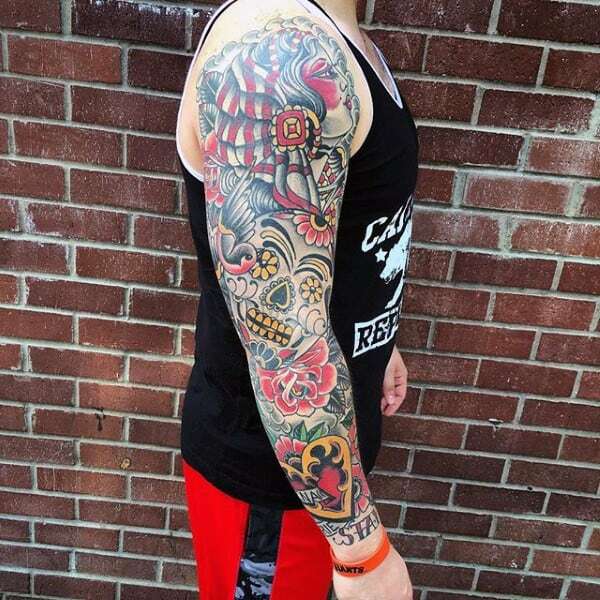 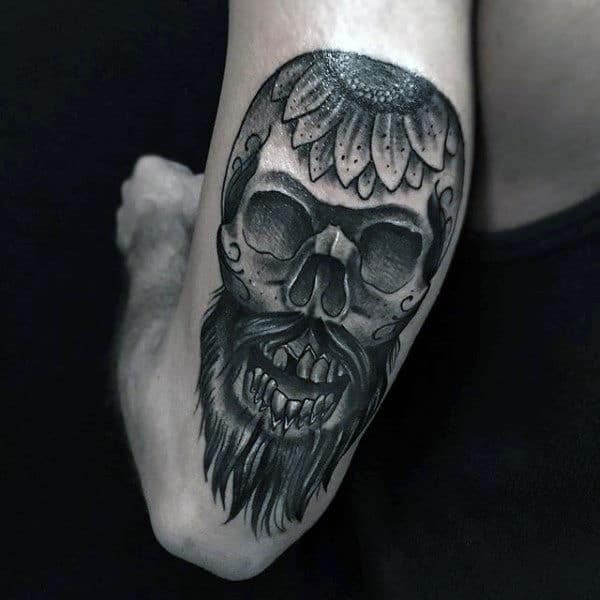 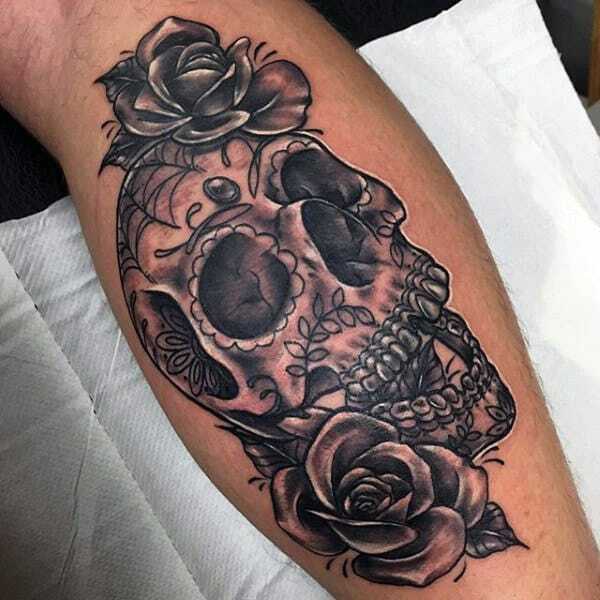 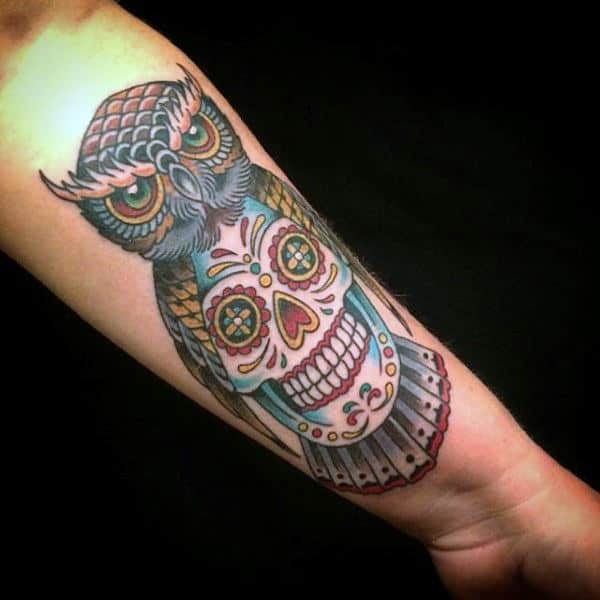 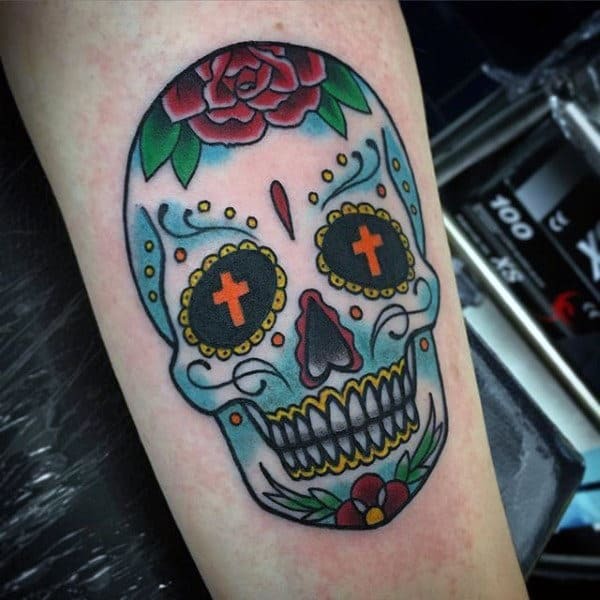 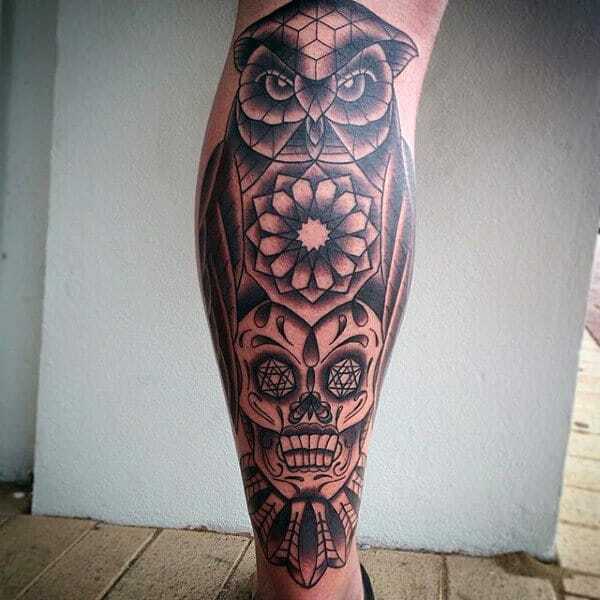 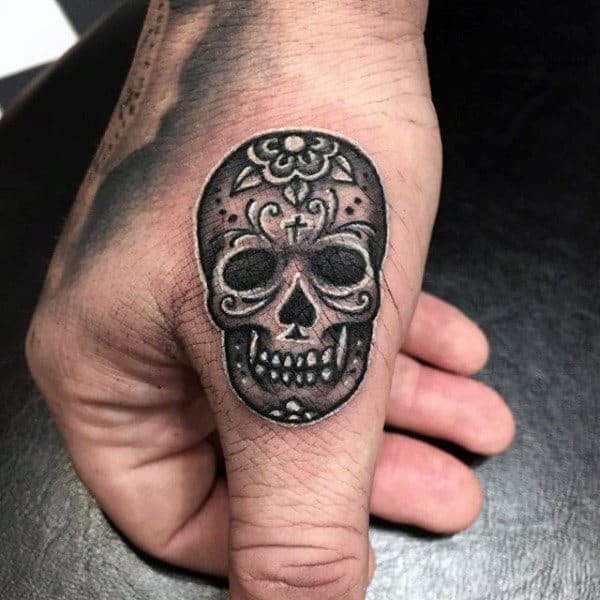 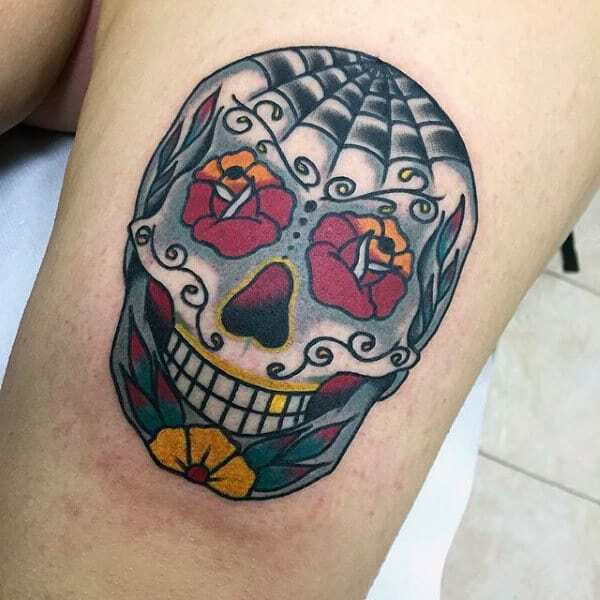 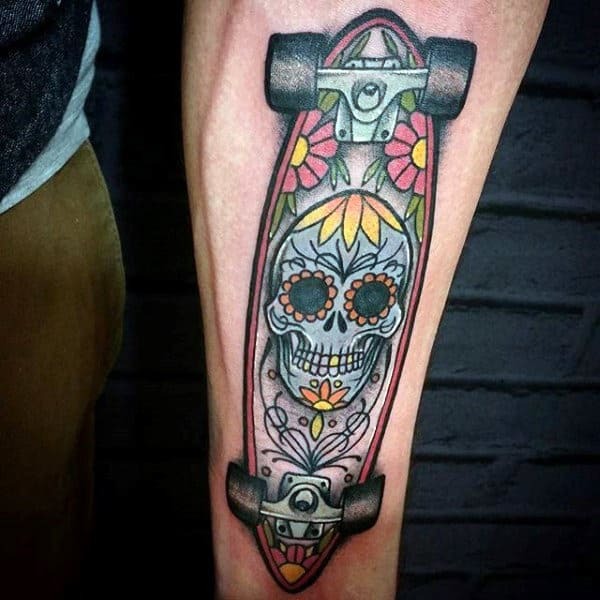 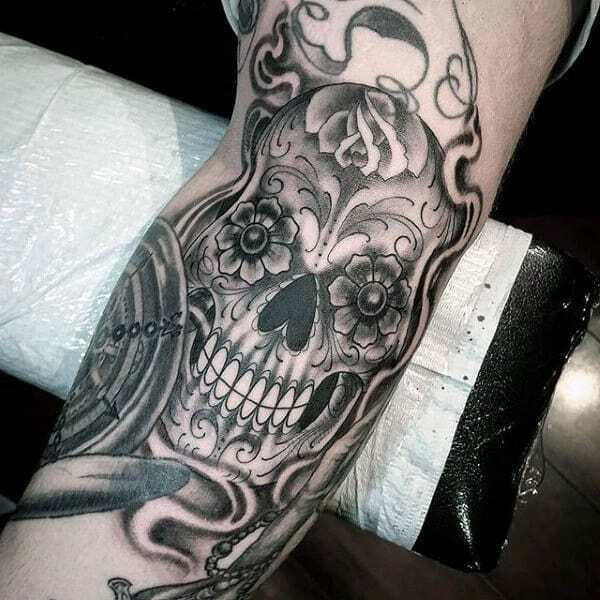 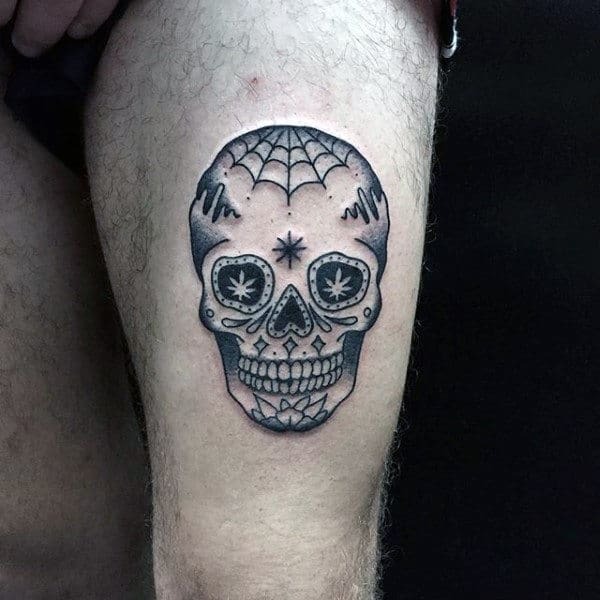 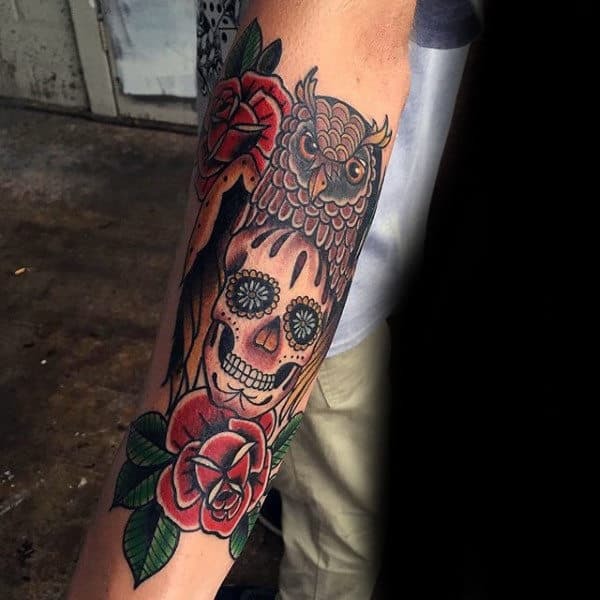 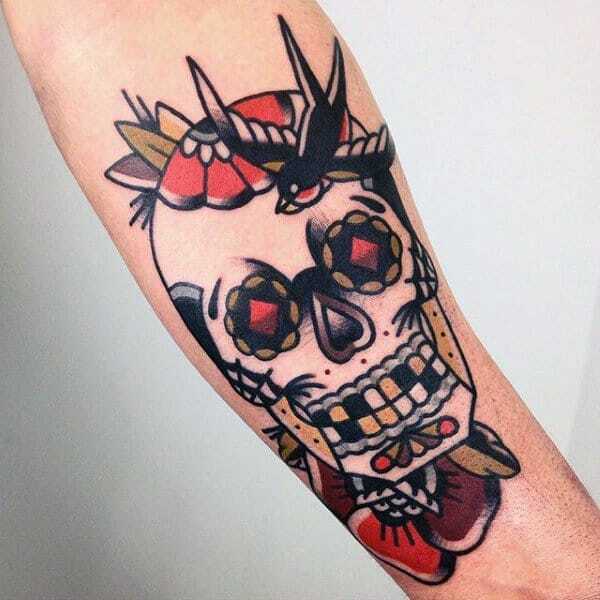 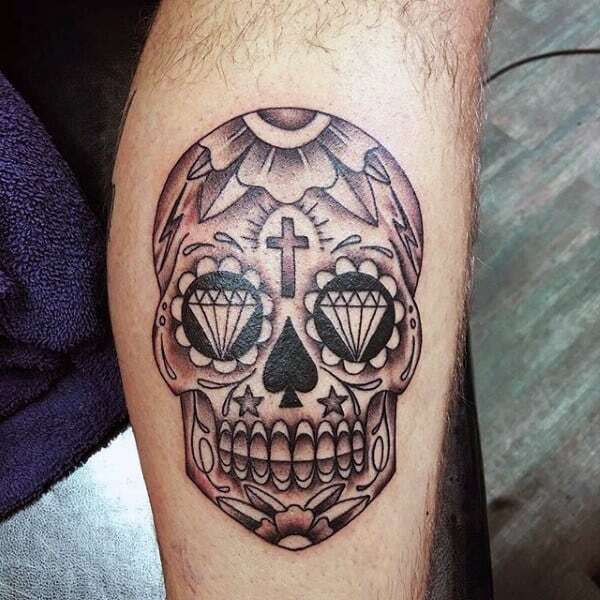 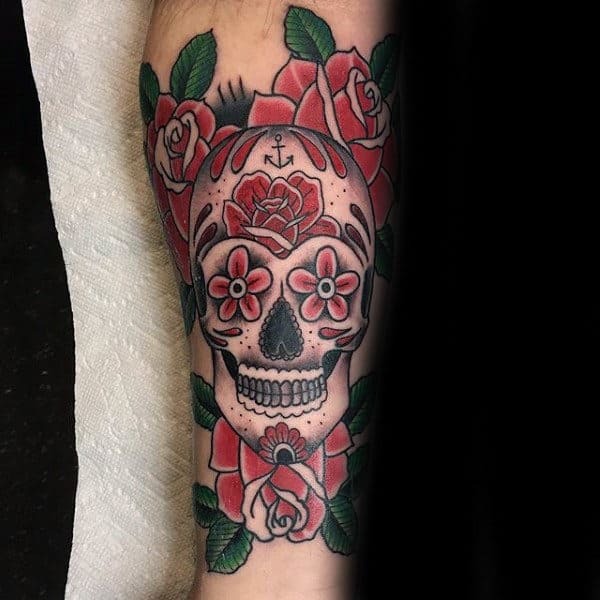 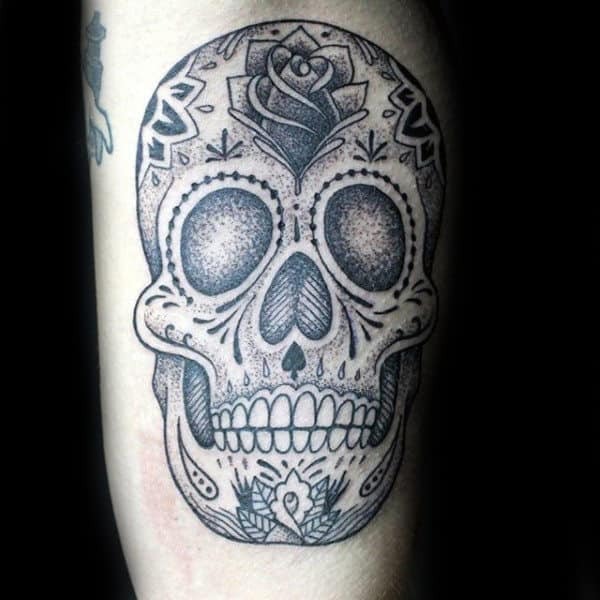 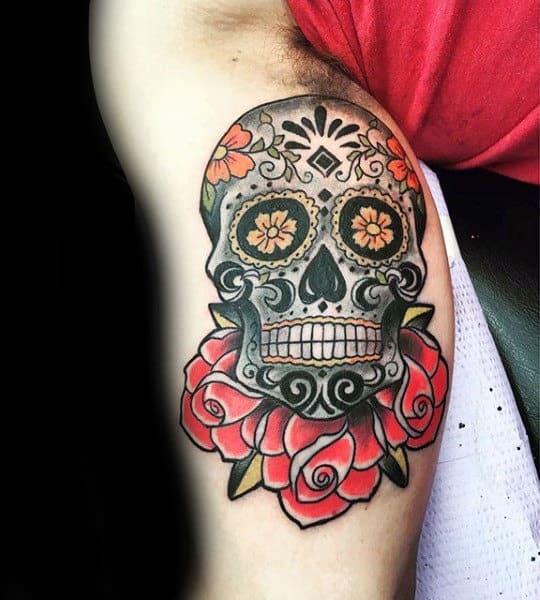 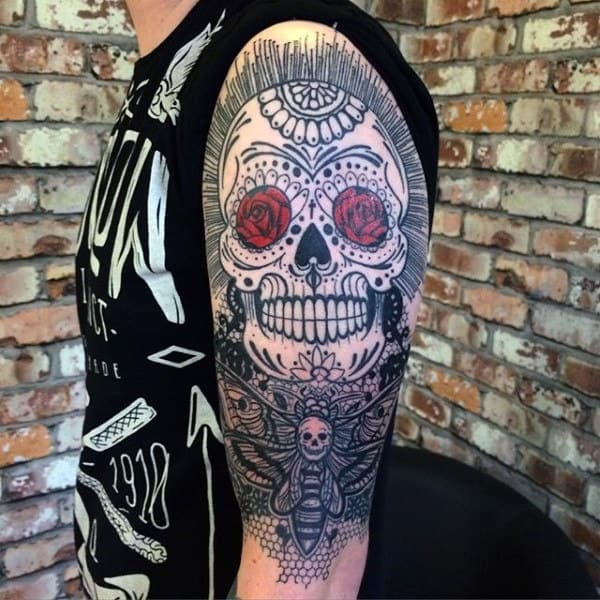 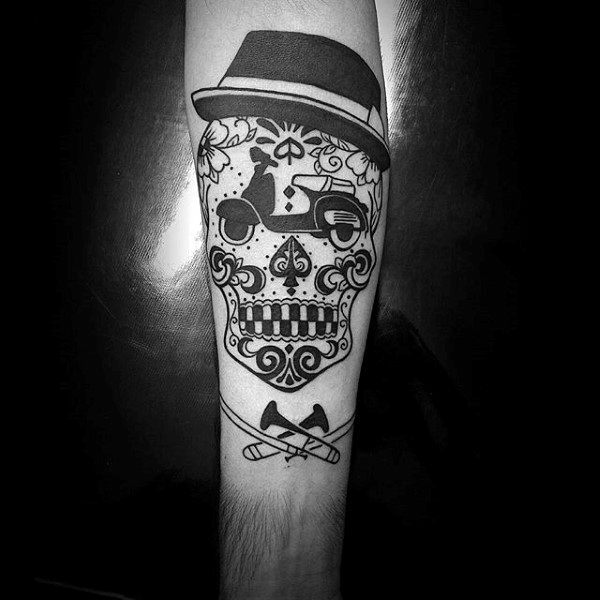 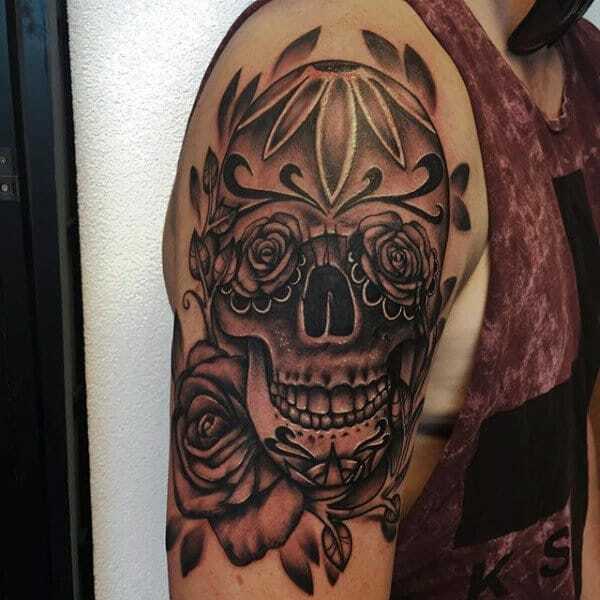 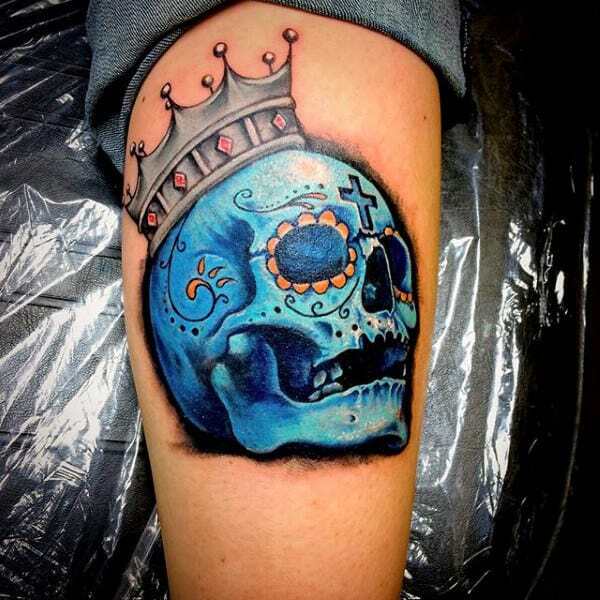 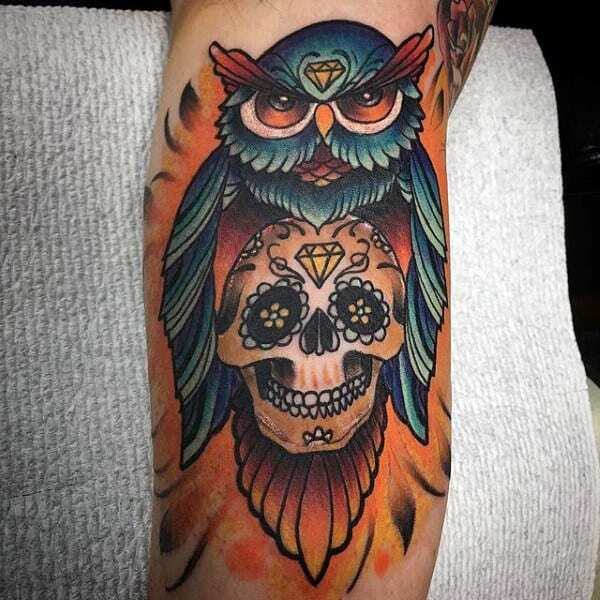 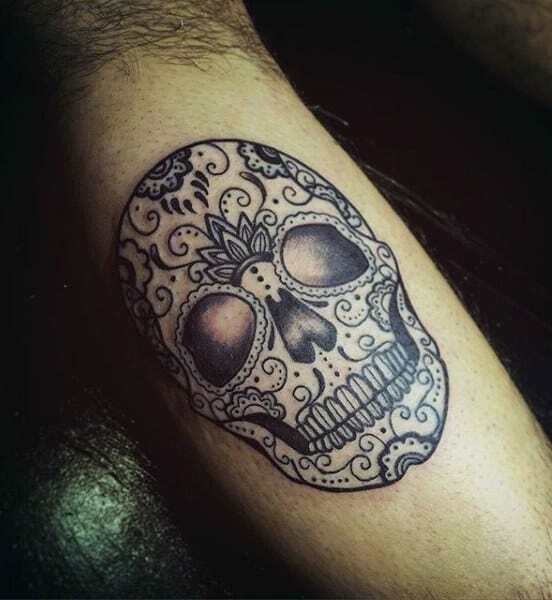 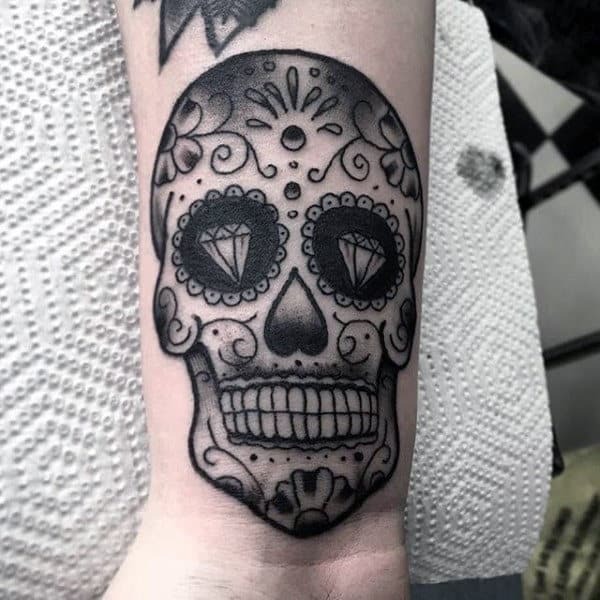 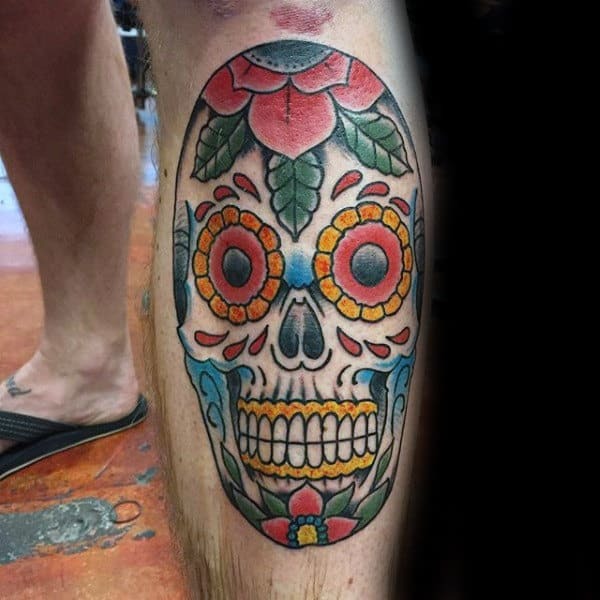 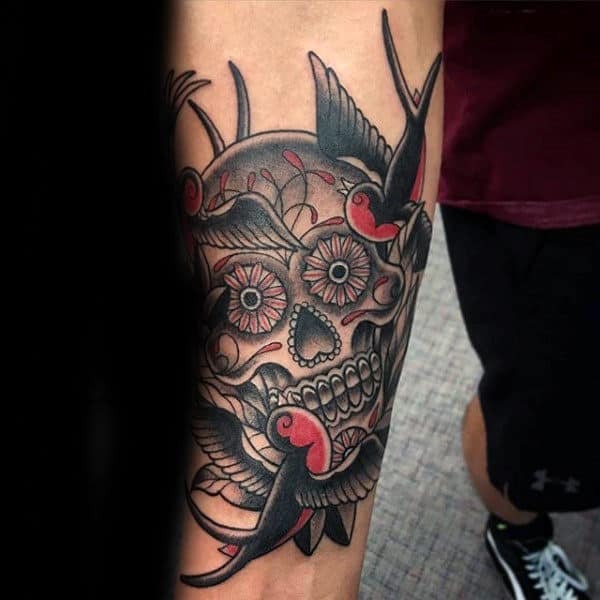 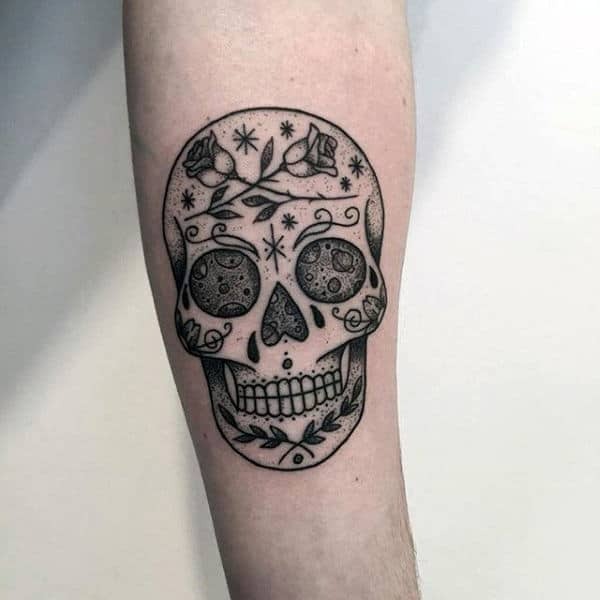 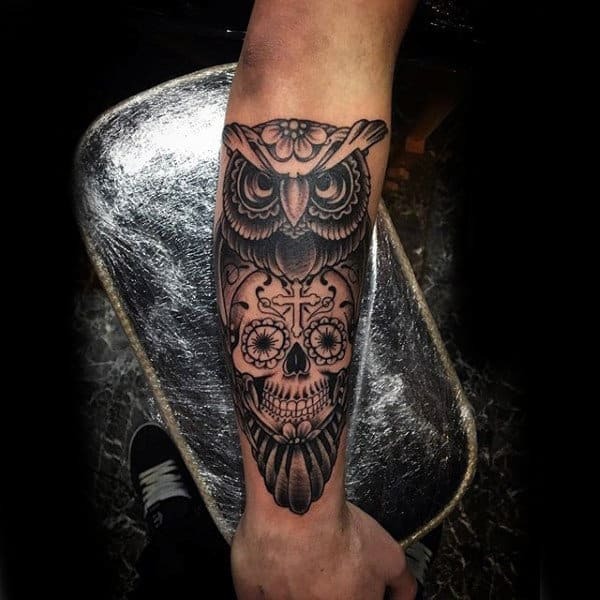 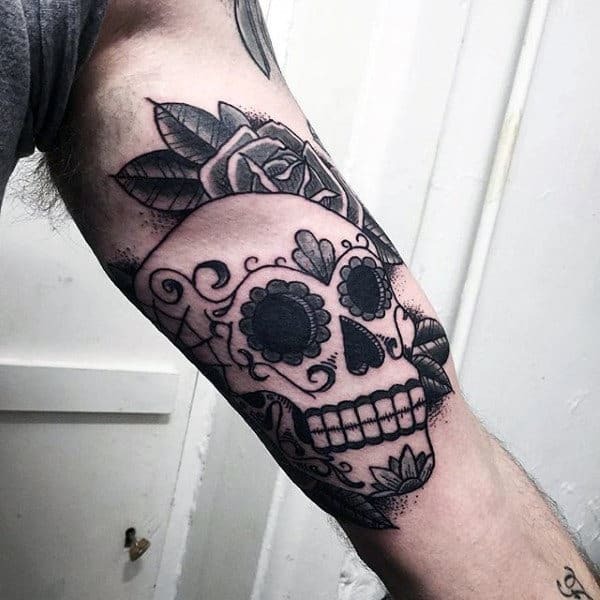 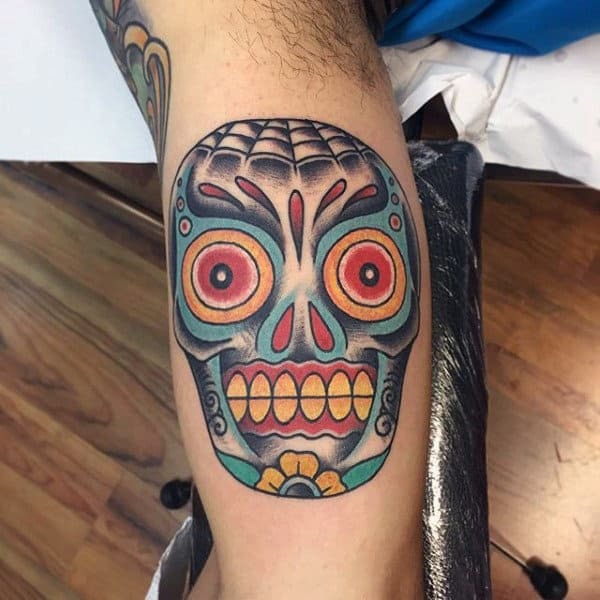 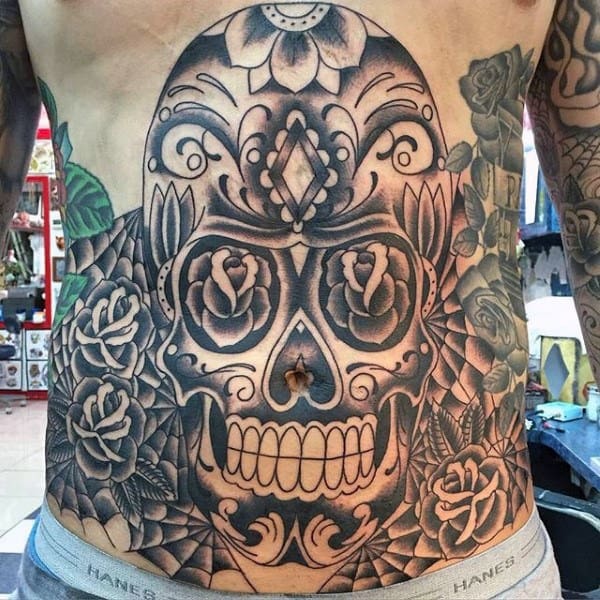 Calavera ink is the most socially acceptable way to flaunt Mexican heritage, and culturally attuned dudes of all cultures are enjoying these posh creations. 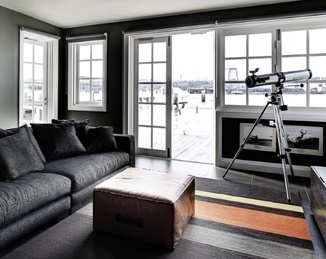 There is infinite room for individuality within the complex displays, and the emphasis on symmetry makes for an involved design challenge. 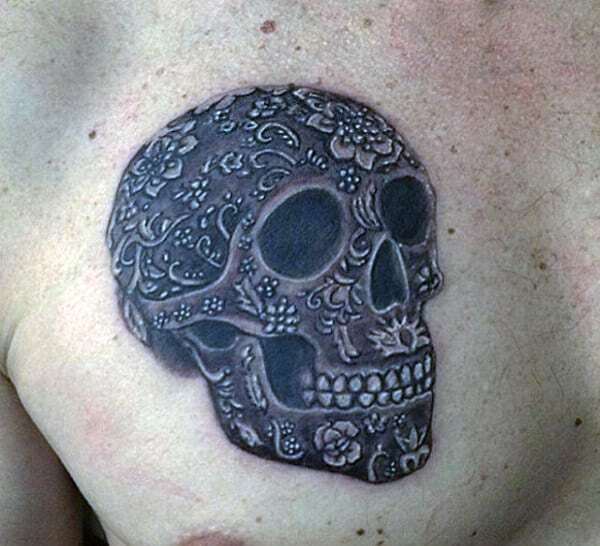 These imprints are far more original than the typical skull and crossbones. 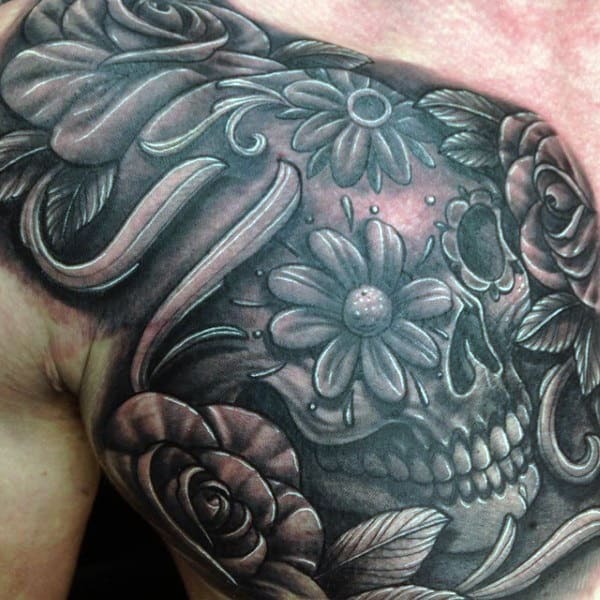 Additionally, they often include flowers and abstract line-work. 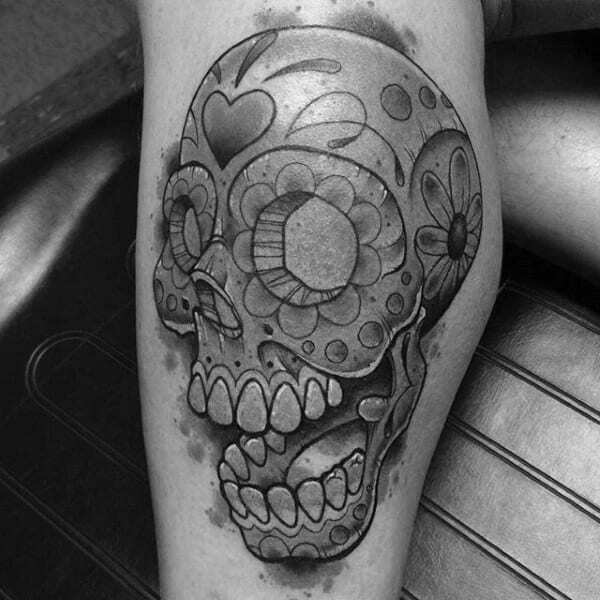 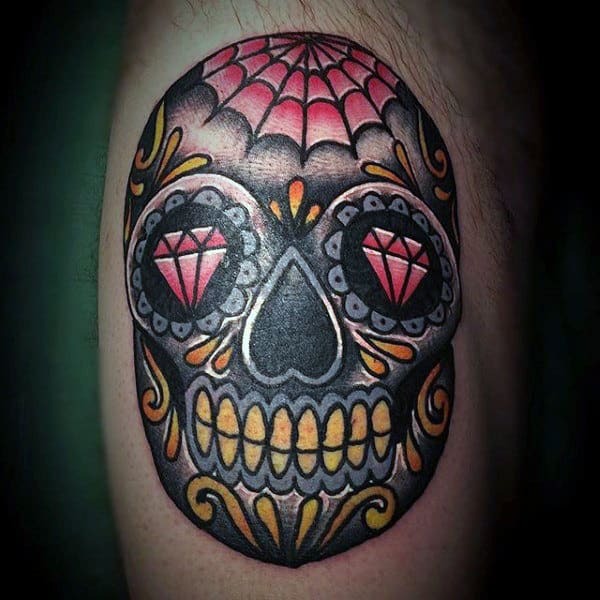 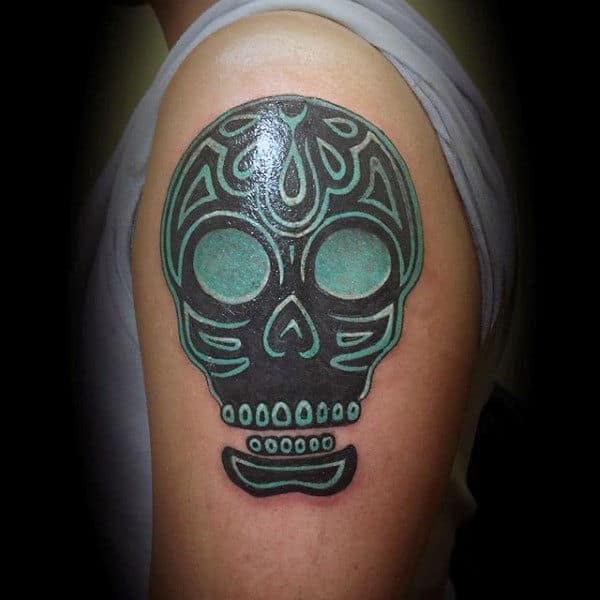 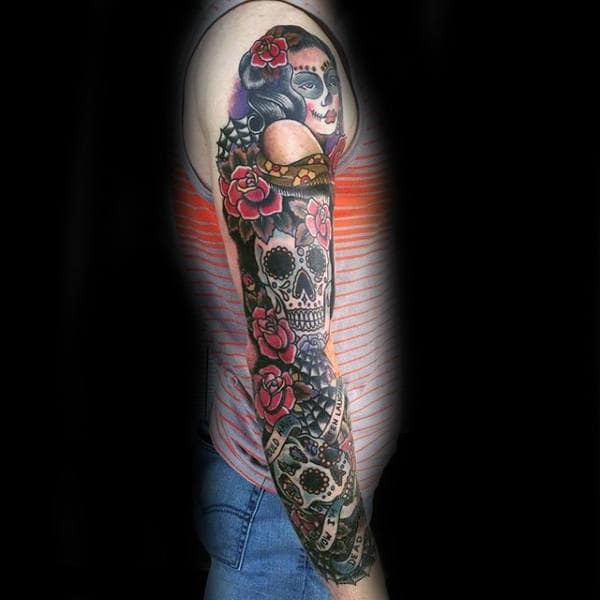 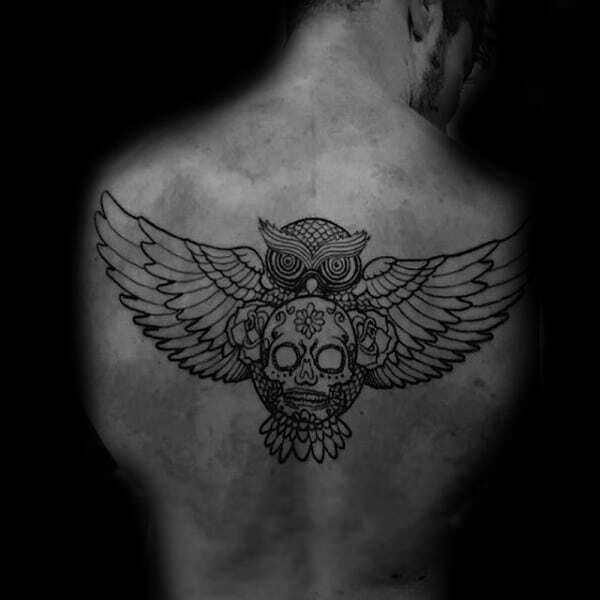 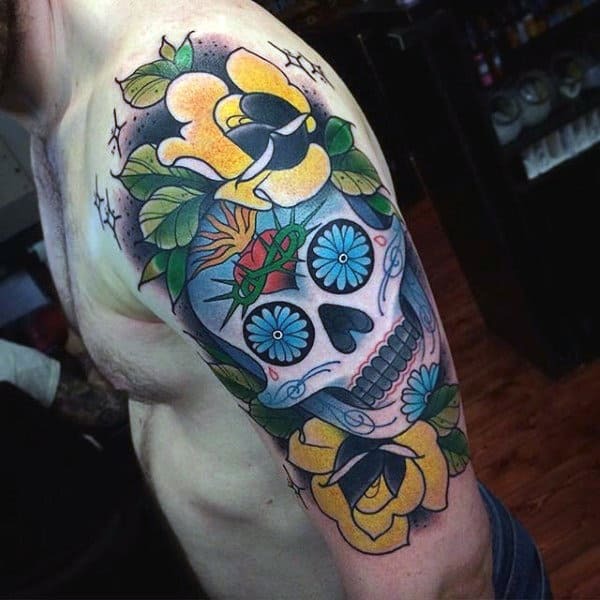 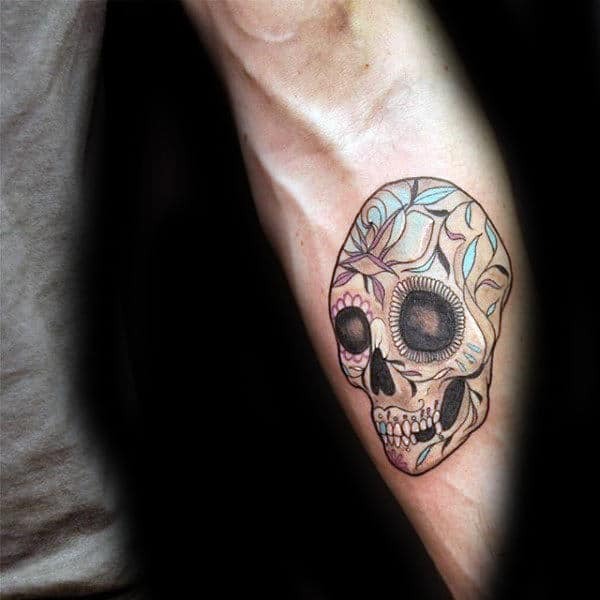 Sugar skull ink surreptitiously enables the capacity for tattoos within tattoos. 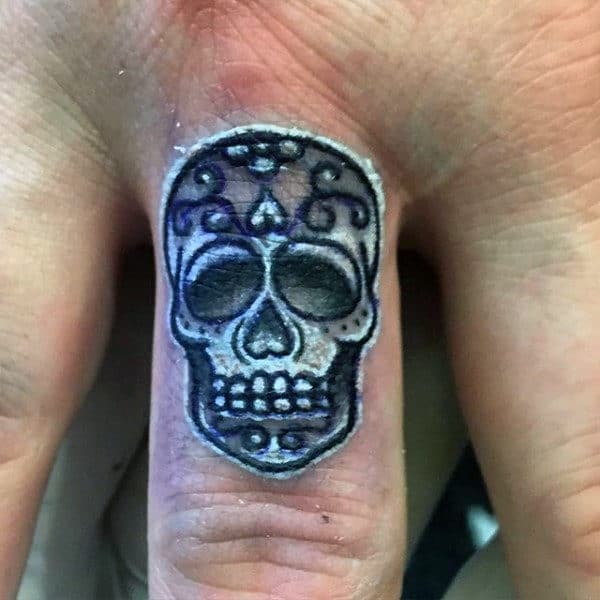 This kind of fractal achievement is truly mind-blowing. 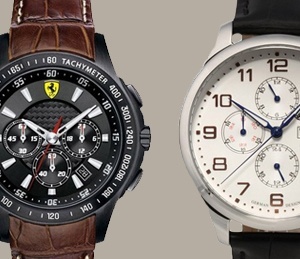 To grasp this profoundly revolutionary concept, just see it for yourself with our extensive style guide below. 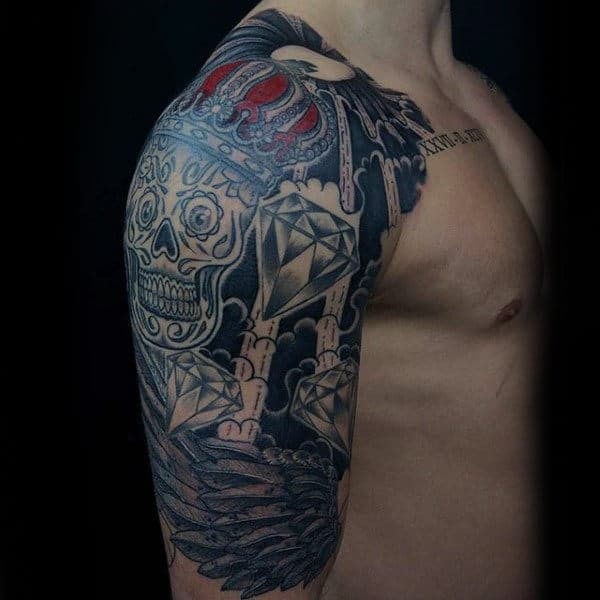 You will be enamored with the fierce displays that powerfully unlock unbridled shows of masculinity.